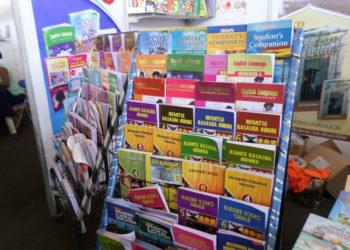 As is usually done with books being published, especially textbooks for the pre-school and lower primary levels, the books are pre-tested to enable us determine how suitable and interactive they are. We are about to publish two French books for beginners; Compte Avec Moi (numerals) and J’aime le Français (alphabets), which come with audio CDs. These books are pictorial and colourful and will help beginners in the French language, especially those in kindergarten and lower primary. Thus, pre-test sessions have been carried out to ascertain the suitability of material. 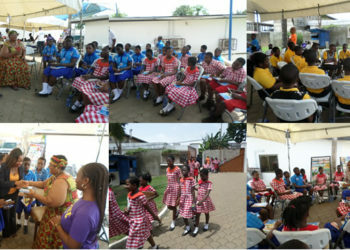 The pre-test of Compte Avec Moi and J’aime le Français was first run at the Victory Presby Church School (VPCS), Adenta on Friday, May 27, 2016. 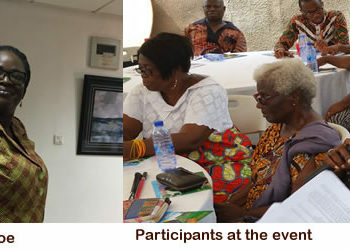 It was then replicated at the University of Ghana Basic Schools, Legon on Thursday, June 2, 2016. At the Victory Presby Church School (VPCS) in Adenta, the pre-test was run in the Class One Class, where pupils participated in the exercise, assisted by their French teacher, Monsieur Wadja. At the University of Ghana Basic School, Legon, the Kindergarten Two Class was engaged; where the French teacher, Madame Ntow, and the class teachers supervised the pupils. The classes were varied to test how well the material would suit the various ages, as “beginners” could be varied depending on age, school, and the point at which the process of learning the French language is initiated. The audio CDs were played for the pupils to listen to, whilst flipping through the books, and repeating the words after the author. Afterwards, the pupils were assisted by their teachers to do the practical exercises in the books.